Whether you want to listen to music on your smartphone or watch movies on your iPad, you may need to convert you media files from one format to another depending on what your devices support. At the top you choose the input file which you want to convert. 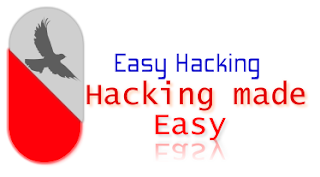 Click the button and navigate to the file you want it converted then click “Open”. You can see the input video properties just below the “Choose Input File” button. If you have a specific device you want to play the video on, then select your device from the “Preset” drop-down menu so the program adjusts the conversion settings appropriately otherwise leave it blank. Now select the target format you want from the “Output Format” menu. 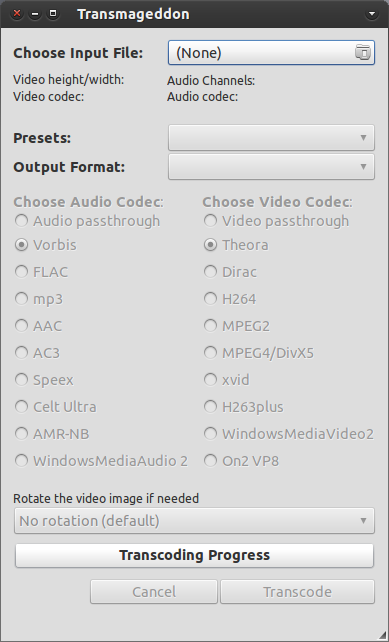 Right below that are the settings for audio and video codec. Choose the settings you desire. 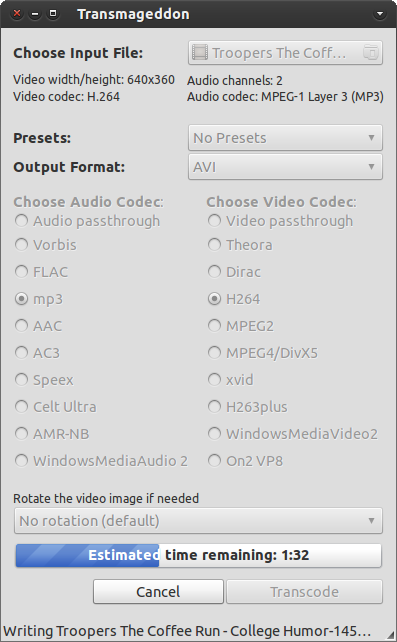 You can choose different audio/video codecs with different qualities and formats. At the bottom of the window you can choose whether to rotate the video image or not. This might come in handy if you were shooting a video then found out later that you were holding that you were holding the camera upside down (or if you like to watch videos upside down which would be weird). 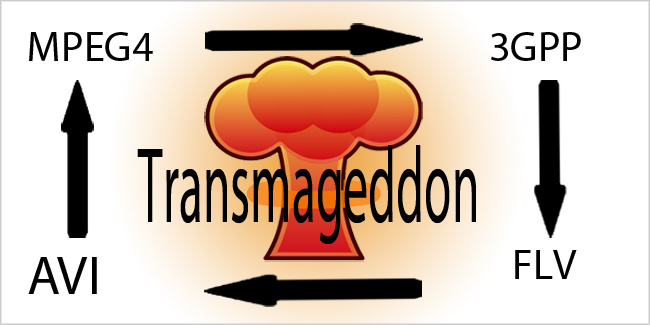 After you finish choosing the settings you want, hit “Transcode” to start the conversion process. It may take a while depending on the length of the video and the setting you choose. 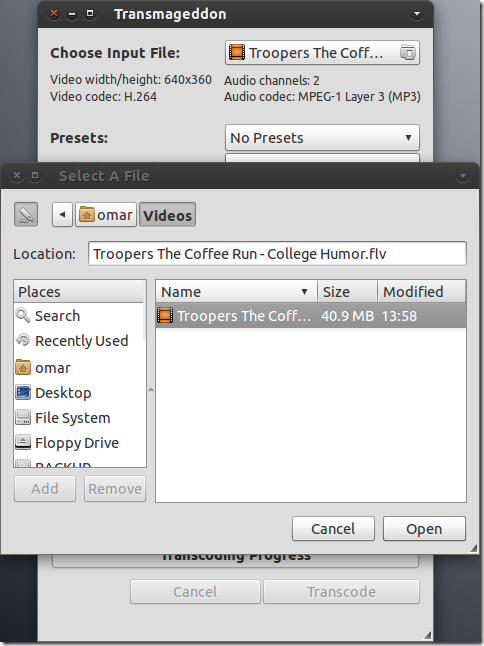 You will find the output file in under Videos in your Home directory. Easy, isn’t it?